Everything you need to make the perfect cocktail. 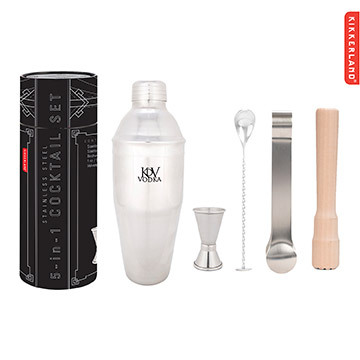 Stainless steel cocktail shaker and bar spoon, birchwood muddler, double-ended jigger and tongs. Take it to go in the velveteen carrying pouch.